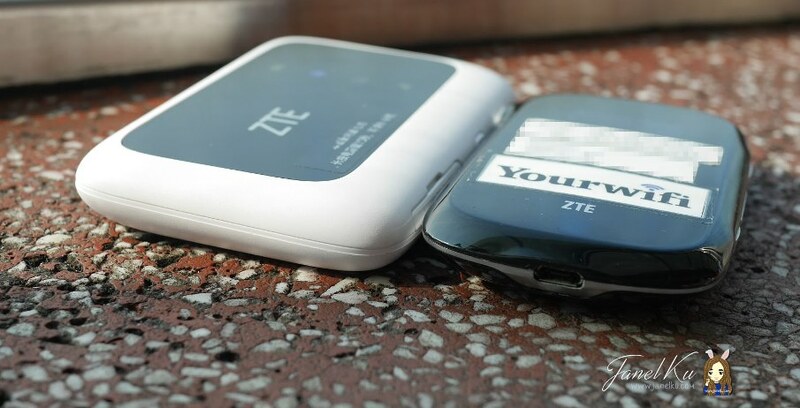 Portable wifi battle: YourWifi vs Changi Recommends! As you know, I've traveled to Taiwan for 8 days recently. As a heavy social media user and a crazy mobile data user (for other things), having a stable and yet limitless data connection is exceptionally important to me. On top of that, I don't have just 1 device, but 2 devices (handphone and tablet) that I always carry along with me on travels. Friends also tap into the available device and we end up needing at least 4-5 devices that require data. 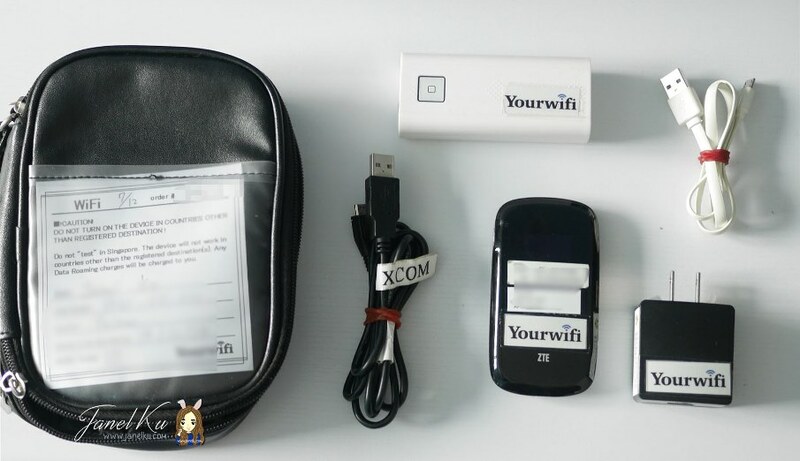 With an offer from YourWifi, who kindly sponsored me a wifi device for my Taiwan travels, I also took it upon myself to do a review between this Japan-based wifi device company and a Changi Recommends, which I thought were worth the most value in terms of both security, speed and overall features. 1. It was on promotion: $5 a day in Taiwan. 2. I have used Changi Recommends in Japan before and it was all good, with no problems establishing mobile connections. 3. I had already reserved Changi Recommends before YourWifi's kind offer came in, so I decided to go ahead with it. Connection was perfect, and we were easily logged on to the device within 5 secs that wifi connection was being established. 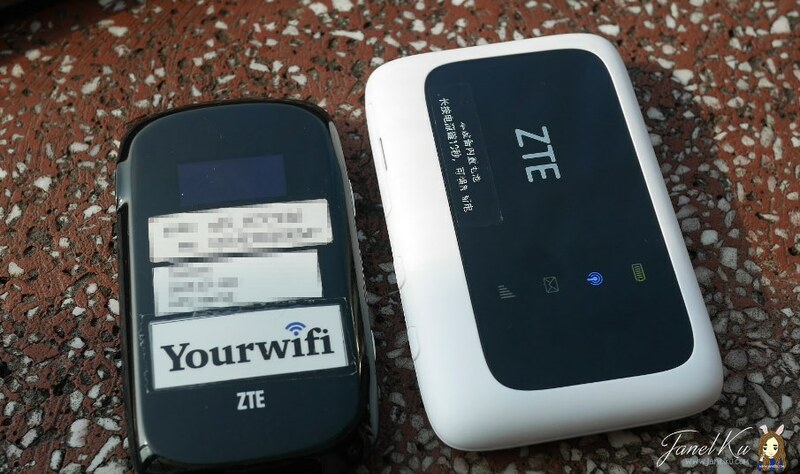 Even up in Cingjing's mountainous areas, we were able to connect to the network swiftly without issue. I was quite unhappy with Changi Recommends this time round purely because I was unable to connect to the device at all - battery went flat very quickly and even before that, the signal in Taiwan was so poor that even my whatsapp messages couldn't be sent. 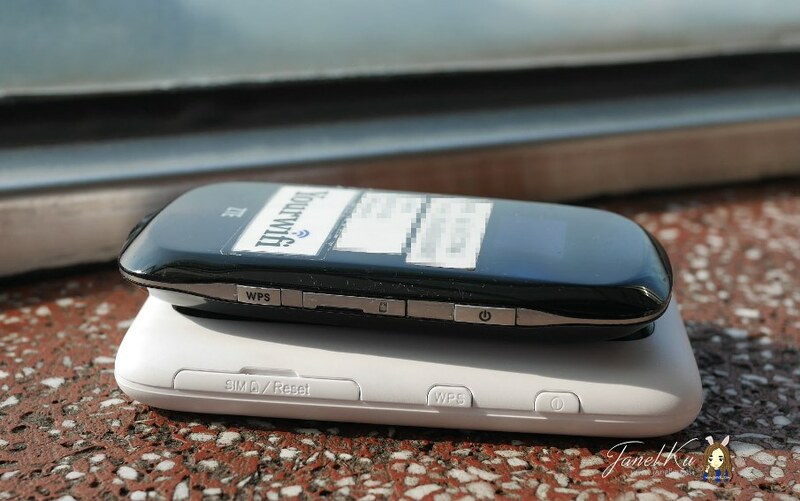 My friends are my witnesses, because they suffered in this situation as well - and were complaining why they had to pay for a device which did not work. Each device, depending on where you're going, will defer in terms of mobile data limit. 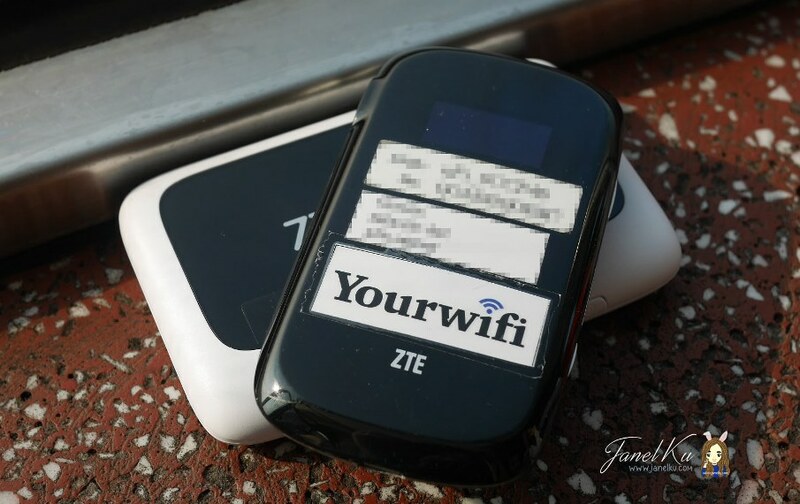 For YourWifi, the trip to Taiwan had a mobile data limit of 20GB, regardless of number of trip days. I had streamed movies and dramas while chilling at the hotel, and even downloaded videos and uploaded images while I was on the go - 4 of us didn't even touch 20GB. Still very sufficient. Unlimited data usage - which we were unable to explore using because of technical fault with the device (battery swiftly depleting itself after 30mins of usage). 4 points given because if the device weren't faulty from time to time, we could probably be super happy using the unlimited data limit. YourWifi's device is more compact than Changi Recommend's. Costs is more affordable at $4.80 per day, per device - a 20% off from $6 with the code: EOY20. However, if without promotion, the price is the same with Changi Recommends at $12 per day. Cost is pretty affordable if there's a promotion going on - I paid $5 per day for this device. However, if without promotion, the price is the same with YourWifi at $12 per day. I collected the device about 1 business day before my departure date and also returned the device 1 business day after my arrival date. There were no extra charges will be incurred for the 2 days as rental are only based on the days of usage. But I understand that late charges will apply if you return the device to the company late - and this cannot be done at the airport conveniently, I had to head to their office at Clarke Quay's SoHo office to return and collect the device. Still, not as convenient as its competitor. Always convenient because it is located right at the airport for pickup and dropoff. But don't think that there won't be a queue for collection, and always remember to go earlier to collect your device. Though the website says 5 hours, it depends on how you use the device and how many mobile devices are connected to it and using it. When I used YourWifi's device (without switching it off at all), the fully charged device lasted about 4 hours in total. YourWifi also kindly provided a portable charger as part of the package, just in case we might need the device and it runs out flat. FYI - I didn't actually even use the portable charger while I was out. Both devices, after it turns flat, have been charged through the night. For previous trips, Changi Recommends could usually last about 3-4 hours (based on my personal usage). For this trip, I could not tell at all - because after charging an entire night, the device had gone flat within 30 mins of testing. Very frustrating. Both devices, after it turns flat, have been charged through the night. Thanks to YourWifi, I was able to have a stable connection without issues. I read alot of reviews on their facebook page, about how their battery life was poor. But to be honest, I really did not have any issues with that and I was surprisingly pleased with the quality of the device. Even if the promotion cost might be higher than Changi Recommends, it sure beats have no connection at all. I was disappointed with Changi Recommends this time. Previous trips were fine, and I don't think it's fair to "blame my luck" on getting a faulty device because they should have checked all their devices before passing it to another customer. Even if the battery was bad, it still couldn't explain why - even in Taipei - a proper connection to the network could not be established at all. So this round - YourWifi is the winner. Though the device was kindly sponsored by YourWifi, I insist to keeping all my reviews factual and whatever stated in this review have been personally experienced by me.